Every few thousand years, U Cam coughs out a nearly spherical shell of gas as a layer of helium around its core begins to fuse. 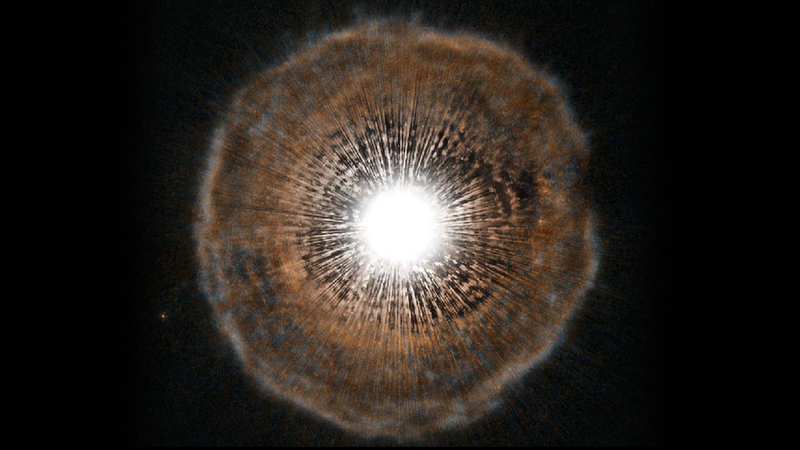 The gas ejected in the star's latest eruption is clearly visible in this picture as a faint bubble of gas surrounding the star. So no, no proton torpedoes were involved in any of this.